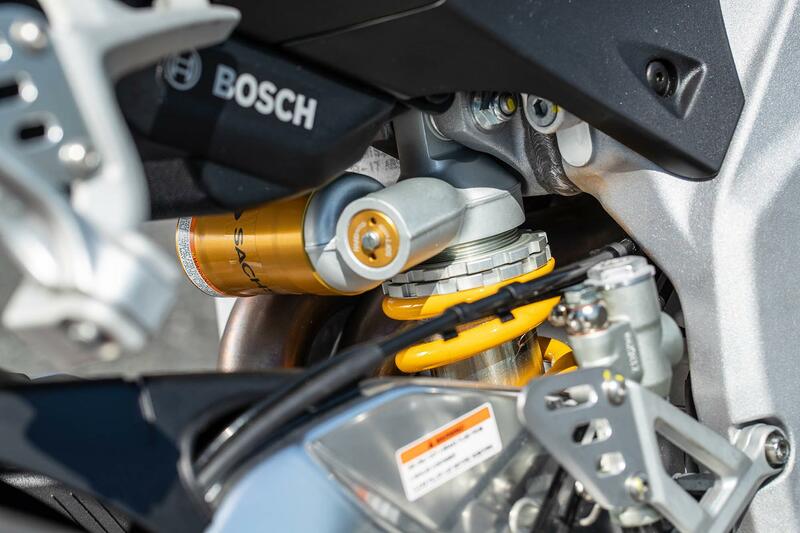 When it comes to noticeably upgrading a bike’s performance, the expensive parts are the motor, electronics and chassis. And on this score the RR is right up there with the very best sportsbikes money can buy as the APRC is staggering, that V4 beautiful and the chassis is WSB-tested and developed. The compromises Aprilia have made to keep the RR’s cost down are simple, and cheap fixes few riders will ever feel the need to alter. This bike, at this price, deserves to sell. And sell as well as any rivals, possibly even better, as it is tremendous value for money. Although like all Aprilia models, selecting neutral is still a lottery! 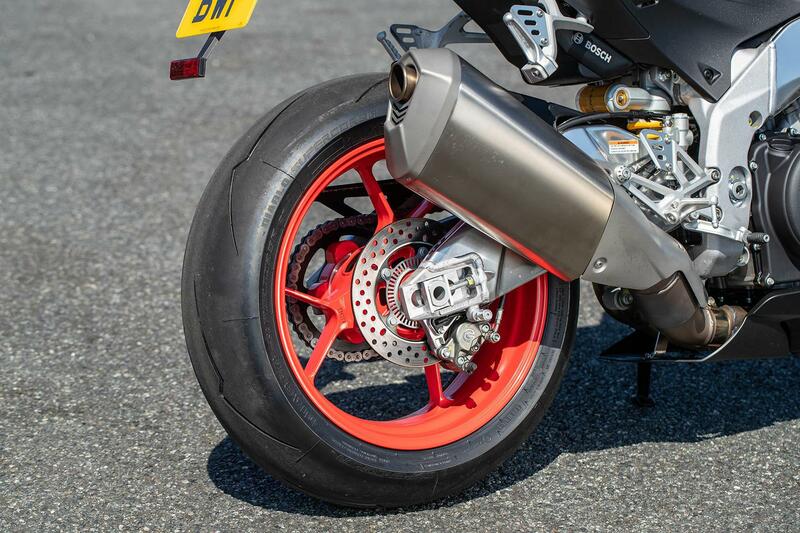 So impressive is the RR’s chassis you don’t miss lightweight wheels and getting the Sachs suspension set up by a professional would make it perform as good as Öhlins units for 90% of riders. The RR still handles fantastically and drops into bends with minimal effort while that V4 is fantastic and sounds glorious. But taller riders will find it cramped. 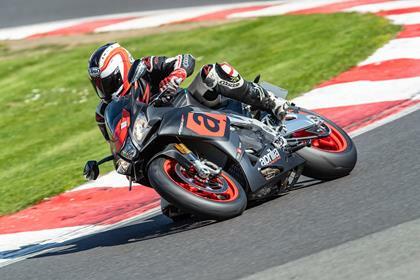 Aprilia’s V4 is simply staggering, producing a claimed 198bhp with 84.9ftlb of torque to drive that rear tyre into the tarmac. It may be a few years old now, but that hasn’t taken any of the edge off its performance and it is still right up there in terms of speed, power and throttle response. 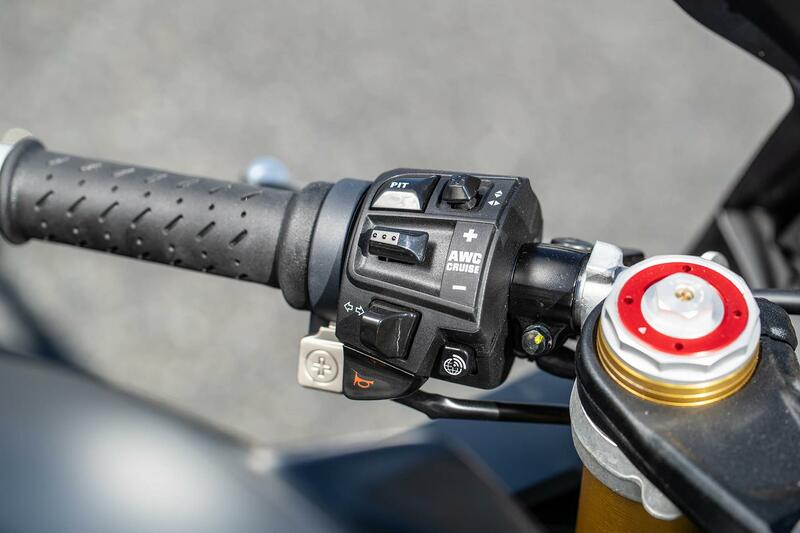 And it is all connected to Aprilia’s excellent APRC electronics package to allow all levels of rider from trackday novice to GP star to make the most of it. The early RSV4 models did suffer a few cam chain tensioner gremlins as well as various teething issues, but these are generally well sorted now and reliability shouldn’t be an issue. 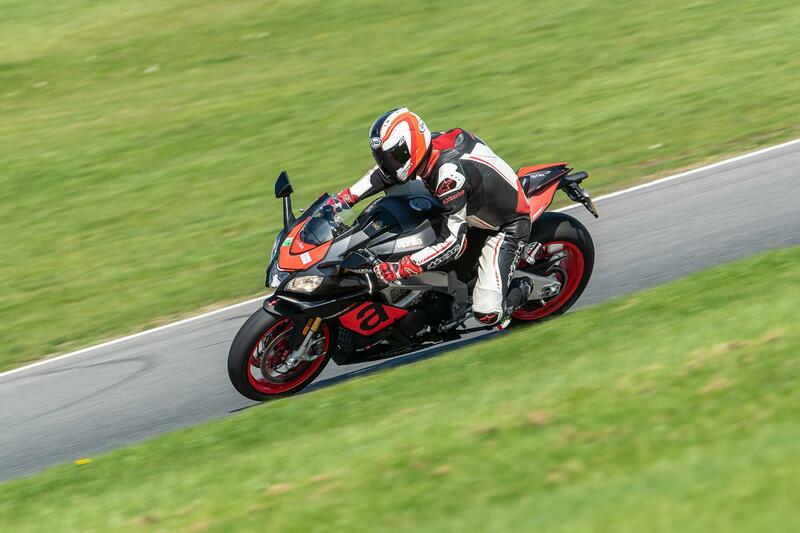 The finish is pleasingly good but Aprilia’s UK dealer network remains a bit limited. The RR’s price tag places it a few hundred quid cheaper than the non-semi-active suspension Japanese inline fours (ZX-10RR, GSX-R1000R, YZF-R1, Fireblade) and a massive £3651 less than the base model Panigale V4. 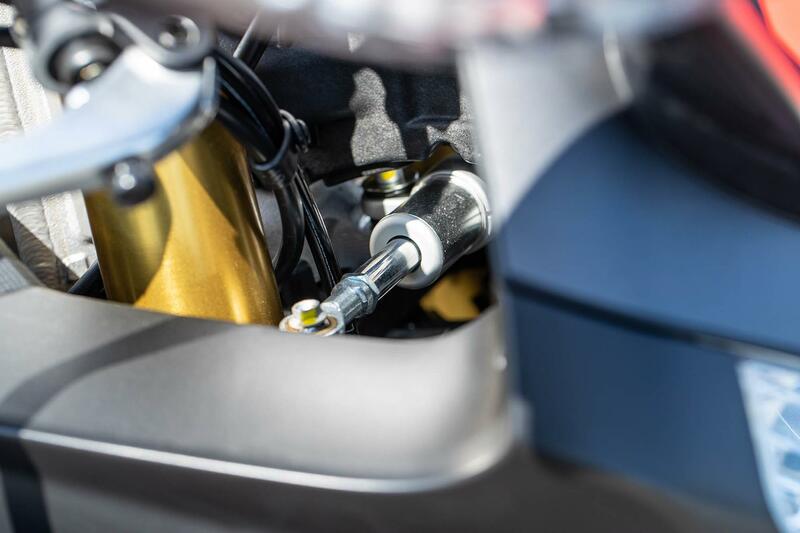 The BMW S1000RR Sport is £400 cheaper and comes with semi-active suspension, but you need the £600 Performance Package to match the RR’s electronics. So yes, the Aprilia is extremely good value when you consider it has a cutting-edge electronics package, amazing V4 motor and a chassis that has won three WSB titles. You get Sachs on the RR instead of the RSV4 RF’s Öhlins suspension and the Sachs steering damper isn’t adjustable and the wheels are cast instead of forged, but the rest of the bike is identical to the RF. 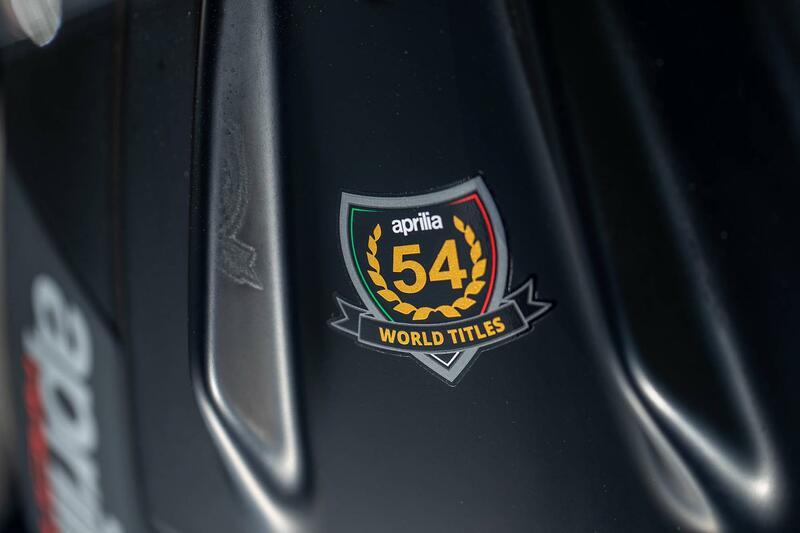 You get the same V4, the same chassis, the same electronics package that boasts traction control, launch control, cruise control, ABS, power modes and even (for £250 more) the Aprilia V4-MP multimedia platform with the ability to set the bike’s electronics up corner-by-corner via a smartphone. Wow! 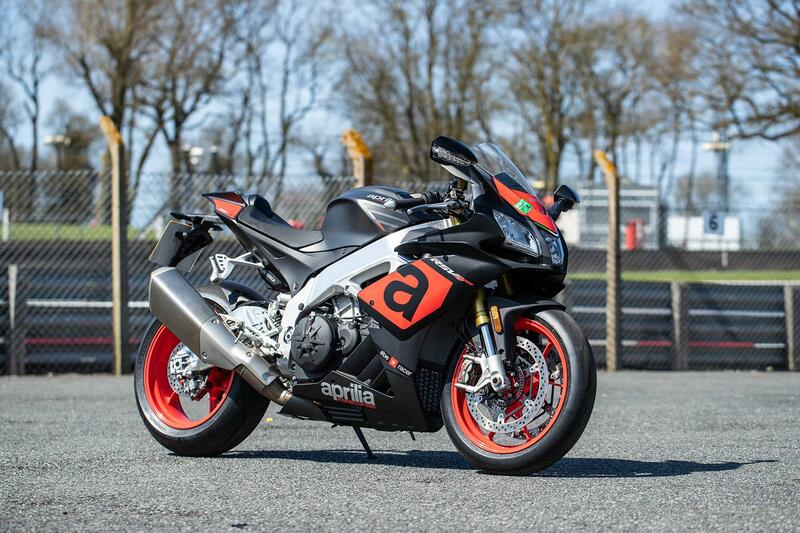 2009: Aprilia launch the RSV4 Factory and RSV4 R.
2013: Both models gain a larger 18.5-litre fuel tank, ABS and a new exhaust with slight engine upgrades. APRC is added to the base model. 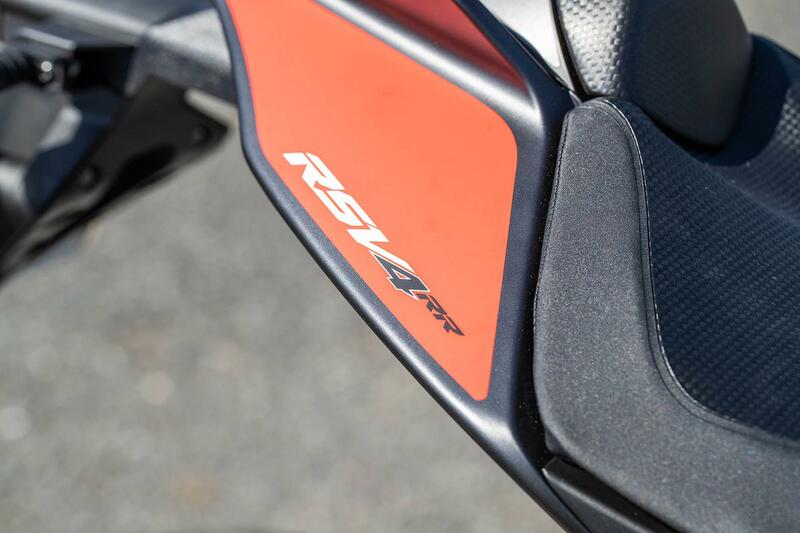 2015: The RSV4 Factory and RSV4 R are both heavily updated and become the RF and RR. 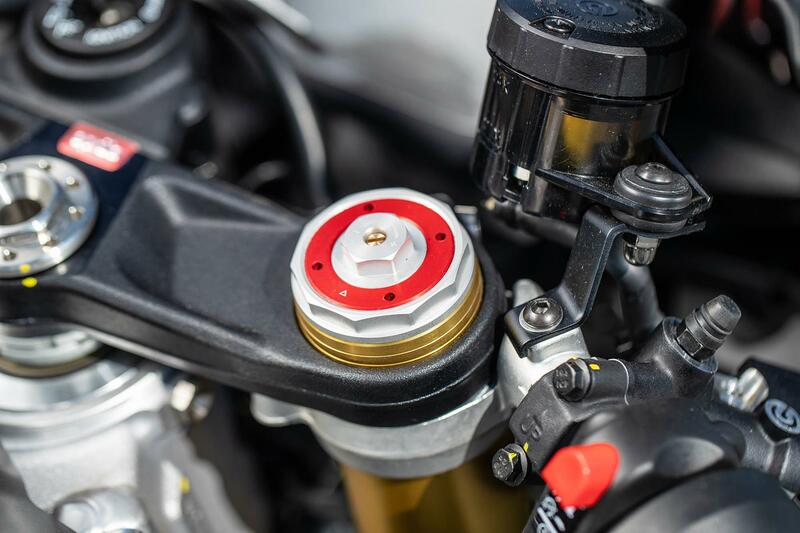 The RSV4 RF costs £19,999 and has Öhlins NIX30 forks and an Öhlins TTX36 shock as well as an Öhlins steering damper. 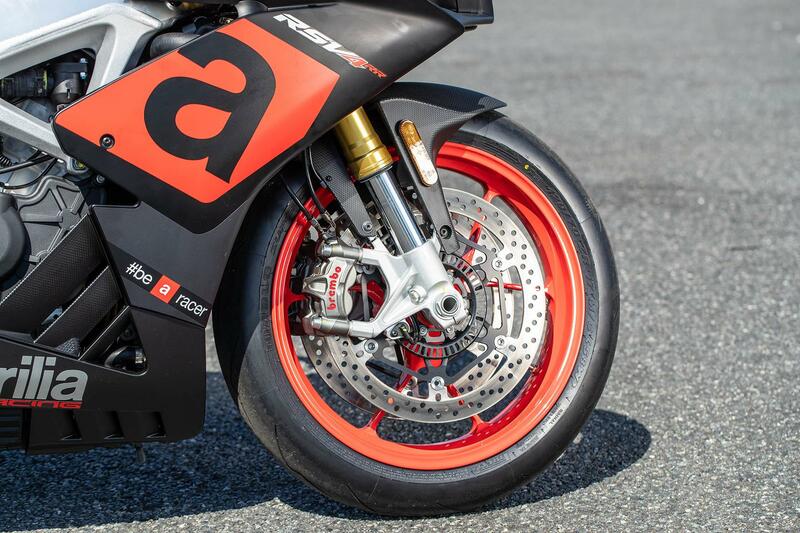 The RF also gains forged wheels and comes with the Aprilia V4-MP multimedia platform, which is a £250 accessory to fit to the RR. 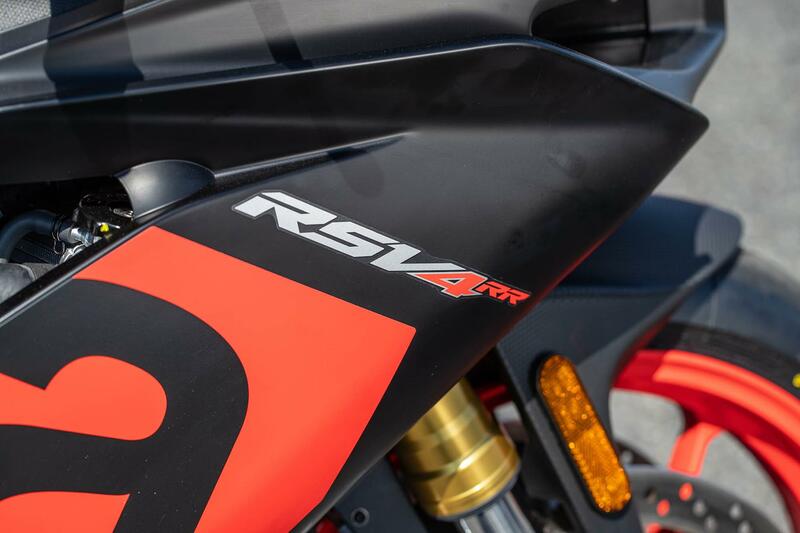 No owners have yet reviewed the APRILIA RSV4 RR (2018-on). "You won't even scratch the surface of what it's capable of on the road in terms of power and handling"
"This special edition version has moved road-going superbikes on as much as the BMW S1000RR did"